AirGateway PRO is Dual-band (2.4 or 5 GHz) model with improved range and performance. The AirGateway is an affordable product with a compact form factor. It simultaneously connects indoor client devices and powers the outdoor CPE (Customer Premises Equipment). The new AirGateway is the easiest way to add indoor Wi-Fi capability to airMAX CPE deployments. 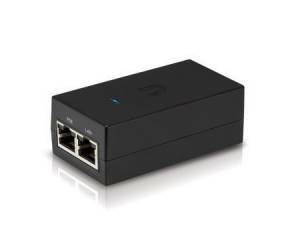 airGateway provides 802.11 b/g/n Wi-Fi and interlocks with existing PoE adapters, so there is a single power source for the CPE and AirGateway devices.